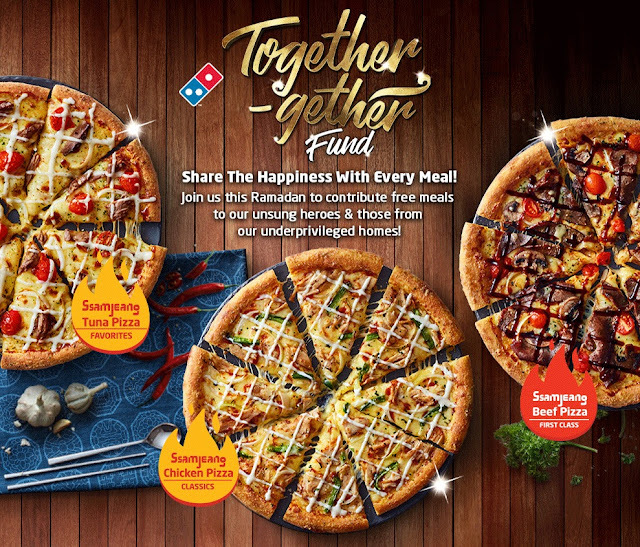 Domino's Pizza launched its Together-gether fund recently in conjunction with the upcoming month of Ramadhan. The fund aims to create a platform for Domino's to join hands with its customers and give back to outstanding individuals through its Domino's Unsung Heroes effort. The Together-gether fund will be available from 14 May 2018 to 3 June 2018. Customers can take part in the Together-gether fund simply by purchasing their favourite pizzas through the Ramadhan deals. Each Ramadhan deal contributes to a slice of pizza and every 6 slices of pizza makes up a regular pizza. The accumulated pizzas will be contributed to Unsung Heroes- an initiative to recognise and appreciate the individuals who sacrifice, contribute and serve the community. A total of 3,000 pizzas is targeted for the three-week period which will be distributed to more than 10,000 Unsung Heroes. Among the Unsung Heroes include medical staffs from Hospital UMRA, firemen from Kota Anggerik Fire Station, Mr Lex Low, Mr Palani Kumar and his group of volunteers, Mr Kuan Chee Heng, founder of Community Policing Malaysia, caretakers of charity homes as well as En Ahmad Faizal, the inspiration behind the Unsung Heroes initiative. A number of charity homes will also be receiving a portion of the accumulated pizzas through the fund. Domino's has acknowledged various Unsung Heroes over the years to recognise their contribution and commitment in the community such as police officers, single moms and dads and RELA officers. This year, Domino's continues the initiative by dedicating the fund to them. In the spirit of giving during the Ramadhan month, Domino's offers great value for money deals- for you to enjoy with your family as well as taking the opportunity to give back to deserving individuals. Ramashan Combo features Ssamjeang Buddy Combo and Ssamjeang Super Combo. Additionally, also enjoy the Super Tuesday deal every Tuesday. 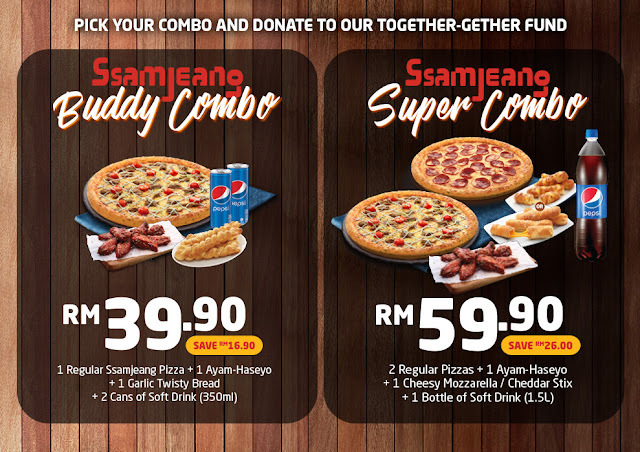 Personal Pizzas priced as low as RM3.90 for self-collect online orders and RM4.90 for over-the-counter orders.